In order to thrive, grass and other plants in your yard rely on fertile soil, rich in accessible nutrients. Fertilizing your lawn helps replenish nutrient depleted soil, but it’s important to know which nutrients are already present so you don’t over or underfeed. In addition, the acidity of the soil directly affects how much of the nutrients are available to your grass and other plants. Testing your soil will help ensure your lawn, shrubs, trees and garden get the balanced diet they need for top performance. 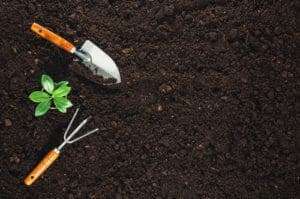 Beneficial soil nutrients utilized by grass and other plants include nitrogen (N), phosphorous (P), potassium (K), calcium (Ca), magnesium (Mg), zinc (Zn) and manganese (Mn).Identifying the amounts of each of these nutrients in your soil will help you feed your lawn more effectively. Another important measure of your soil is its pH level, which refers to the acidity or alkalinity. On the pH scale, neutral is 7. Any reading below is acidic and any reading above is alkaline, or basic. Most plants in our area of the country prefer a slightly acidic pH level of 5.5 to 6.5. 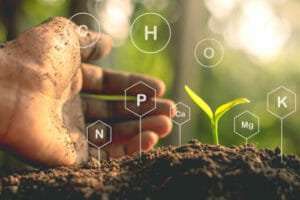 Soil with too high or too low pH levels may render soil nutrients unavailable to plants, while others elements, like aluminum, may reach toxic levels, negatively affecting plant growth. Soil Testing State extension services, such as those at the University of Georgia Cooperative Extension, offer soil testing for a small fee. 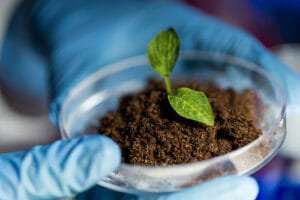 You send in soil samples, and they will send back results, giving you a clear picture of the minerals and nutrients in your lawn, flowerbeds or vegetable garden. Testing typically includes pH levels as well, along with recommendations for amendments. Soil in lawns and landscaping areas should be tested every two to three years, while garden soil should be tested every one to two years. Always test the soil before laying sod or planting flowers, shrubs, trees or a garden. While it’s possible to amend soil in an established yard or garden, it is certainly more difficult. For an established yard, test before you fertilize in the spring, to ensure the proper balance of nutrients. Gathering soil samples for testing is not difficult, but it may be a bit more involved than you expect. For a complete guide, visit extension.uga.edu. Allow up to two weeks for results to be returned after submitting samples. Once the results are in and your soil is amended, you’re ready to plant. If you’re planning to lay sod, the expert staff at NG Turf is available to answer questions and help you choose the right variety of grass for your project.